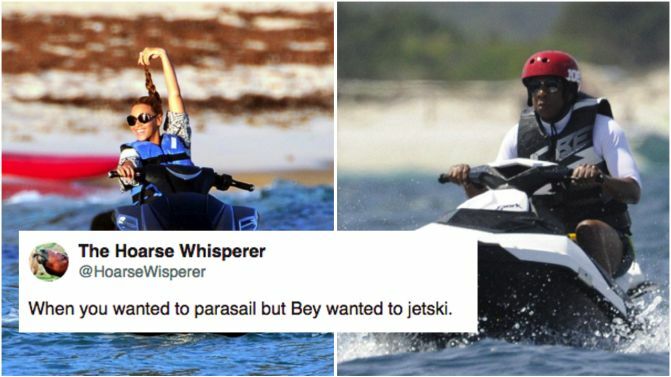 Images have surfaced of JAY-Z and his wife/collaborator, Beyoncé jet-skiing in Sardinia, Italy, and the internet has let loose. Sporting a life vest, helmet and sunglasses, as well as a super stern expression, JAY-Z couldn’t be more prepared. Beyoncé, on the other hand, looks like an absolute natural having a great time, but JAY-Z looks like he can’t wait for the sweet embrace of land. This isn’t the first time JAY-Z has been made into a meme. Back in 2013 he also became one briefly after he was photographed jumped into a pool. 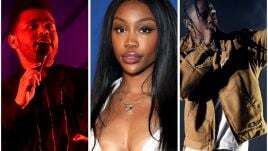 The Carters have recently started their joint world tour, and while there’s currently no Australian dates announced, the tour is reportedly coming to our shores eventually.